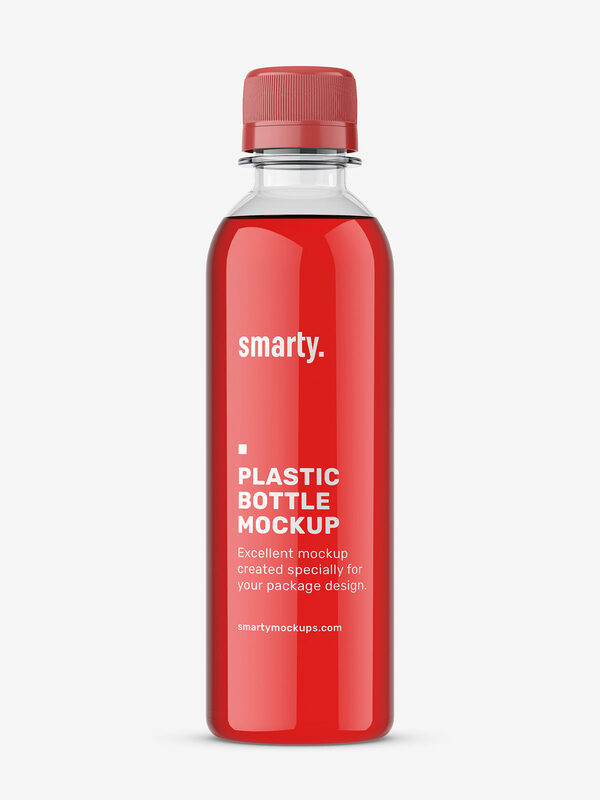 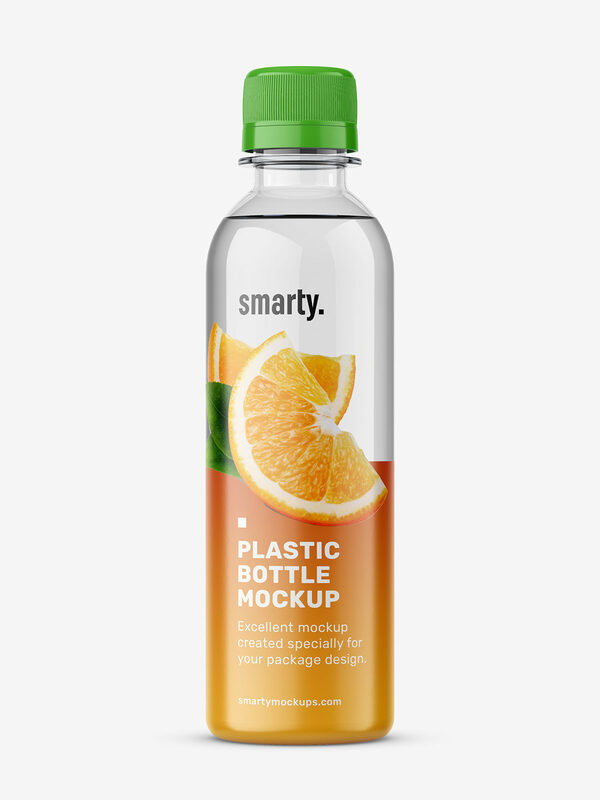 Universal transparent bottle mockup. 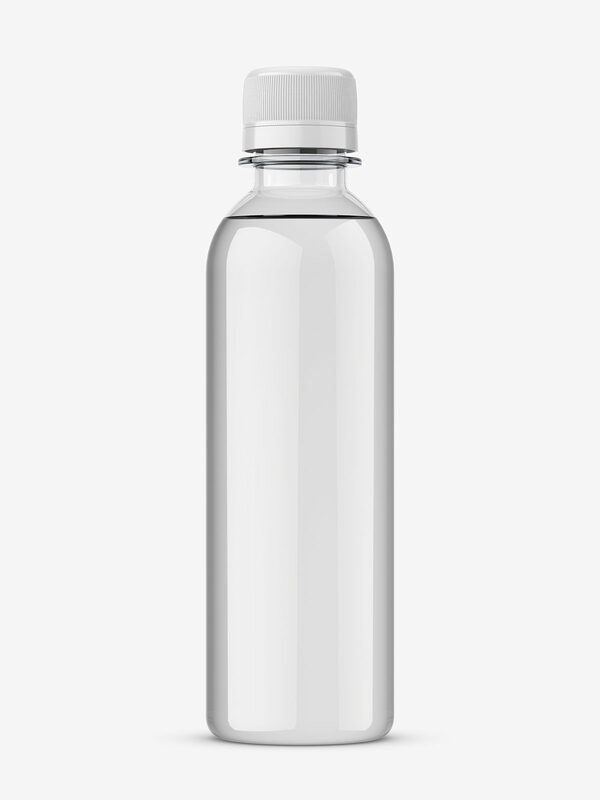 You can paste your own label design and change color of the cap. 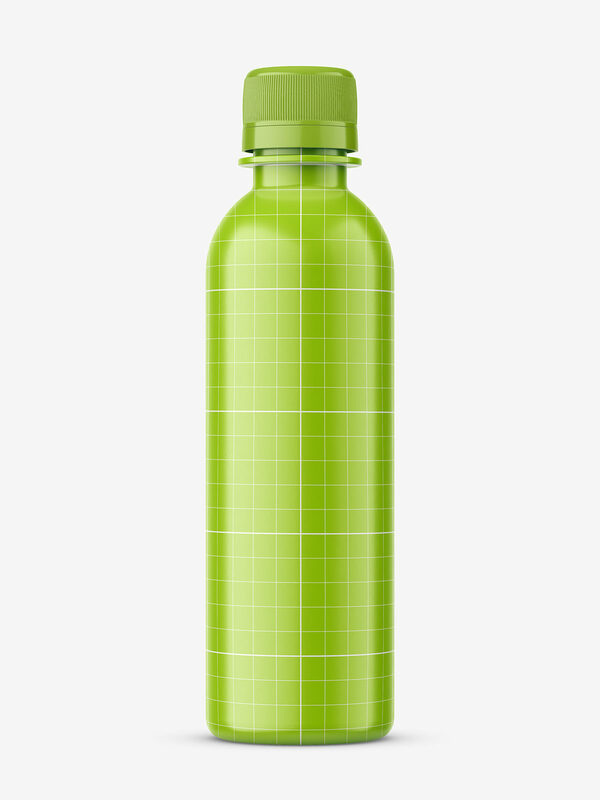 Mockup is prepared in high resolution.